Now a day every one is running after Google AdSense. People are using different techniques in order to earn as much as you can and lots of people are running their business through Google. 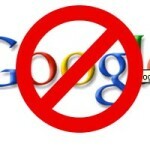 One should be very much careful in using the different techniques as it will force Google to Ban your Website, and one day you will found the website isn’t showing AdSense adds anymore. 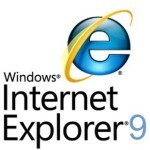 Microsoft is going to launch browser internet explorer 9 at an event in San Francisco Later on today i.e. 15th September. Already four platform previews of Internet explorer 9 have been released by Microsoft Company .More then 2.5 million times IE9 internet browser previews have been downloaded and tested by the users. Therefore, apparently it seems that IE9 beta version shouldn’t be any surprise for the users. Nokia Finland has announced number of symbian smartphones like Nokia C6-01, Nokia N8 and Nokia E7 in the month of September. Nokia phone has announced new Nokia C6-01 phone in the market, which is expected to be released in the end of this year 2010. Nokia C6-01 naming convention creates confusion in the mind of Nokia Phone users with Nokia C6. 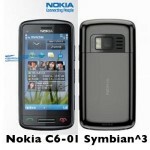 Nokia C6 is the QWERT smartphone that runs on Symbian^1/S0 5th edition. But Nokia C6-01 is the new version of original Nokia C6 smartphone. Kingston Technology Company is popular all over the world because of its awesome, high-tech and durable products like Kingston ram and Kingston flash drives. 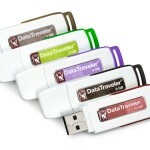 Once again Kingston, make everyone astonished by announcing the new Kingston USB flash drive known as Kingston Data Traveler Ultimate 3.0 USB Flash Drive. 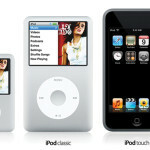 Nokia Finland mobile manufacturing company announced new Symbian mobile phone Nokia E7 for its customers. E7 smartphone will be released in the end of this year, 2010. Nokia mobile phone E7 runs on Symbian ^3 OS. Nokia e7 symbian phone is packed with latest features and Specs. 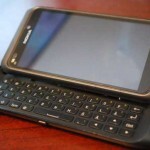 New Nokia E7 is slightly larger than Nokia N8, and almost other functions and mobile phone specs are similar to N8 symbian Device. Nokia E7 Mobile Phone Price is estimated to €495. LG mobile phone announced Google android phones to be arrived for UK users. LG Mobile Phone Optimus One and Optimus Chic are the two new upcoming LG phones that are equipped with Android 2.2 Froyo OS. LG shows both Android phones in the press conference held in Seoul and they are expecting that both LG Mobile Phone Optimus One and Optimus Chic would be one of the LG highest Selling mobile phone ever introduced by LG Phones. 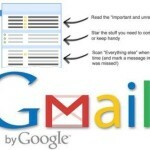 Google Gmail Priority Inbox feature has been introduced by Google search Giant in the start of this month, September 2010. Gmail’s Priority Inbox feature sorts incoming mails according to your set priority into important and unimportant messages. Priority Inbox is the latest feature that set priorities to the emails according to your reading behavior with your inbox emails. Microsoft email services like Hotmail uses clutter clearing tool for this purpose that is even old feature as compare to Gmail’s Priority Inbox. 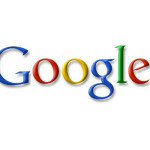 Google Instant had been announced by Google Search giant, last week. The Google Instant product will speed up the internet search engine as showing the search results as user’s type in queries. Google Instant will be available online this week and available to all mobile devices at the end of this month, September 2010. According to Google, the Google Instant will speed up the search process and it will save time in between two to five seconds per search. However, it reduces the over all search time that improves the efficiency for everyone.